Texas iSchool Associate Professor Ken Fleischmann recently accepted the 2018 Social Informatics Best Paper Award from the Association for Information Science and Technology (ASIS&T) Special Interest Group for Social Informatics. Based upon work supported by the National Science Foundation, the paper, “The Societal Responsibilities of Computational Modelers: Human Values and Professional Codes of Ethics,” focuses on understanding how values shape modelers’ experiences with and attitudes toward codes of ethics. The findings reveal that individuals who place great value on equality and social justice are more likely to advocate for following a code of ethics. It is important that computational modelers are both willing and able to consider not only the technical implications, but also the societal implications of their work. The Social Informatics Best Paper Award recognizes the best paper published in a peer-reviewed journal on a topic informed by social informatics during the previous calendar year. The winning paper, co-authored with Cindy Hui and William A. Wallace of Rensselaer Polytechnic Institute, was published in the Journal of the Association for Information Science and Technology in 2017 (http://dx.doi.org/10.1002/asi.23697). 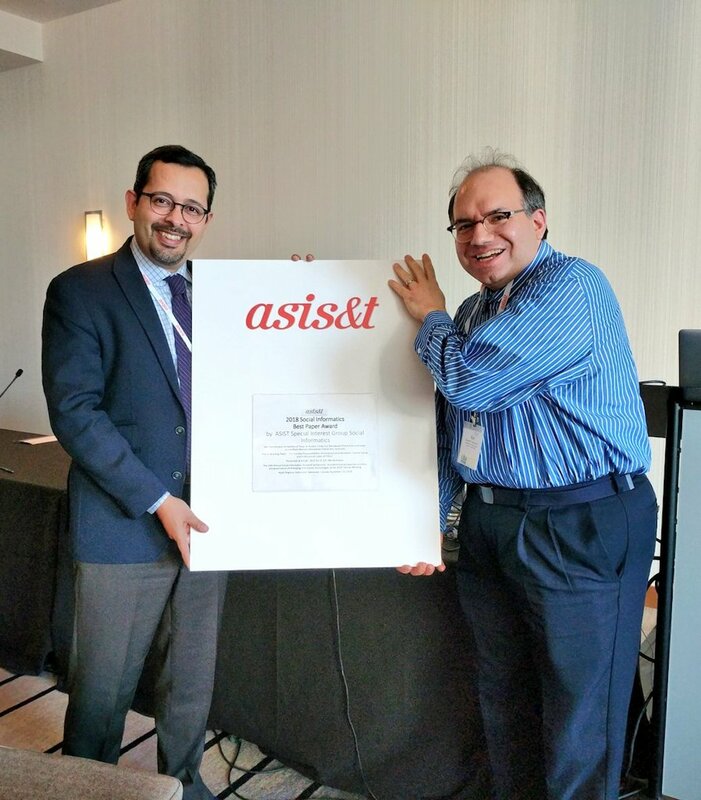 Fleischmann presented the paper on November 10 in Vancouver, Canada at the ASIS&T 2018 Annual Meeting, during The 14th Annual Social Informatics Research Symposium: Sociotechnical perspective on ethics and governance of emerging information technologies.